Dwight Gordon Cook, age 73, of Maysville, WV passed away Saturday, March 30, 2019 at his home surrounded by his family. He was born December 18, 1945 in Cumberland, MD and was the son of the late Gordon Cook and Mildred May (Feaster) Cook. Dwight is survived by his wife of 52 years, Dorothy ”Dottie” (Davis) Cook; two daughters, Dana Sherman and husband Johnny of Petersburg, WV; Amanda Secrist and special friend, Delmas Dove of Mathias, WV; one son, Jamie Cook of Maysville, WV; nine grandchildren, Tiffany Sentman and husband Stanley, Matthew Sherman and wife Rachel, Faith Smith, Dylan Secrist and special friend, Kirstin Rohrbaugh, Brittany Dove, Roberta Dove, Jessica Dove, Ora Dove and Sydney Secrist; three great grandchildren; one sister, Mildred “Liz” Wilson and husband Fred of Corona, CA; one niece, Rachel Walters and husband Daniel and one nephew, Jeremy Clauze; one uncle, Clem Stull of Maysville, WV; one aunt, Shelby Feaster of Biglerville, PA., several cousins and his beloved dog, Charlie. Dwight attended Maysville Elementary School and graduated from Petersburg High School class of 1964. He moved to Gettysburg, PA in 1964 and was a heavy equipment operator for Battlefield Earthmoving. He joined the Army National Guard in 1966 and was honorably discharged in 1972. 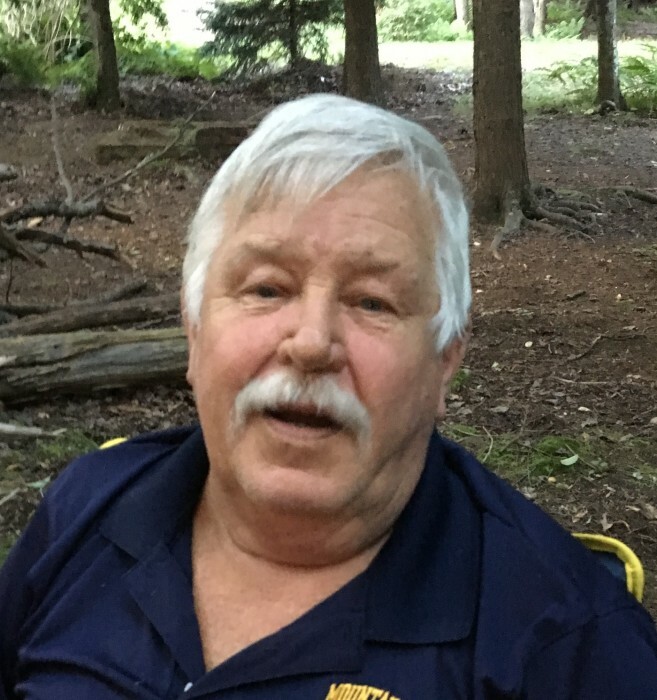 He moved back to West Virginia in 1975 and worked with HIVAC and was a finished carpenter for Hancock and Albanese Company. Presently he was employed at Grant County Mulch. He was a former member of the Maysville Volunteer Fire Department. He was a member of Potomac Valley Archery Association and Allegheny Coonhunters Association and Maysville United Methodist Church. He enjoyed gardening and watching his birds. Family will receive friends Sunday from 5:00 – 8:00 PM at the Schaeffer Funeral Home in Petersburg. Funeral service will begin at 1 PM Monday, April 1, 2019 at the Schaeffer Funeral Home with Pastor Ted Anderson officiating. Burial will follow in the Maysville Cemetery. Memorials may be made to Shriners Hospitals for Children, 110 Conn Terrace, Lexington, KY 40508 or St Jude Research Children Hospital, 262 Danny Thomas Place, Memphis, TN 38105 or Maysville Volunteer Fire Department, PO Box 434, Maysville, WV 26833.